Looking "where to sell my Jaguar Mark IV?" Ask the Chicago Car Club! 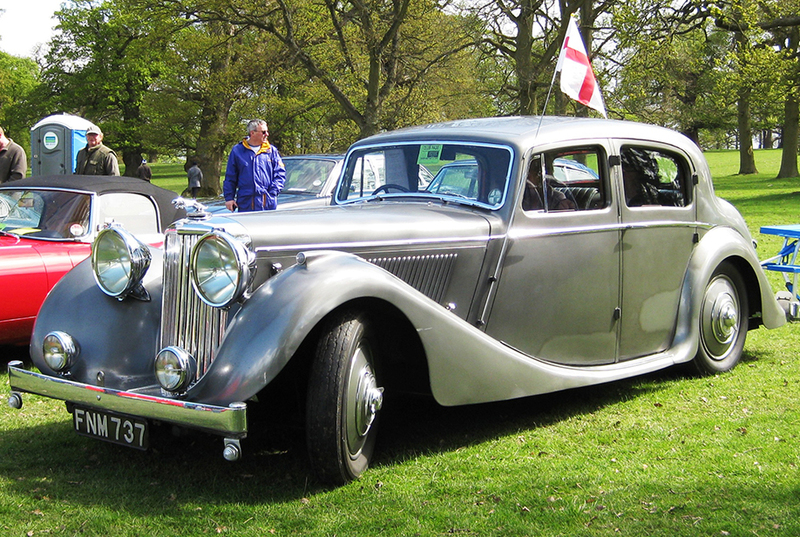 Are you wondering "where to sell my Jaguar Mark IV ?" The Chicago Car Club is interested in classic cars of all makes and models, especially a Jaguar Mark IV. We make the process of selling your Jaguar Mark IV quick and painless. In just a matter of hours we will have your classic valued and, if you do so choose, turned into money in your pocket. All it takes is a phone call or electronic inquiry to get the ball rolling. Early models, manufactured between 1935 and 1939, were built by SS Cars and marketed with the model name Jaguar. When production resumed after World War II, the company rebranded as Jaguar but continued to produce the same vehicles. Under either name, the Mark IV Jaguar was available in 3 distinct models, offering a 1.5, 2.5, or 3.5 liter engine. Of the three models, this was the smallest in size and the engine performance. The original model of the car was a drop-head coupe but there were constant changes in design. The 1.5L variant had a top speed of 113kph. For the 2.5L Changes were only made on the cylinder head which gave it a slight power bump. This model was introduced into the market in 1938. The engine power increased from 105bhp in the 2 1/2 model to 125 bhp in this model.